Take your marketing to new heights—literally—with our new raised foil printing. 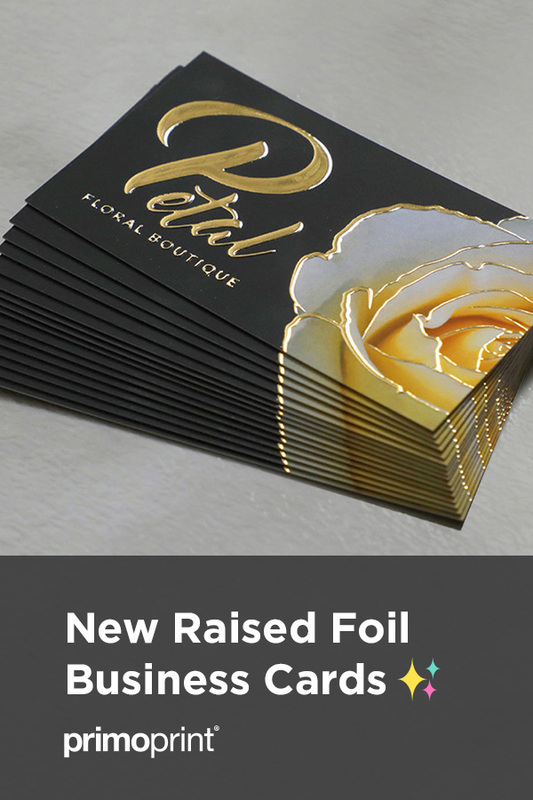 The 50-micron raised foil is available in gold, silver, or holographic for three of your favorite products, including business cards, postcards, and greeting cards. Engage more of your customers’ senses with tactile cards that feel as impressive as they look. We digitally print our raised foil on 19PT velvet laminated stock. The foil is available on one or both sides for business cards and postcards. Only one color of raised foil can be printed per set. You have mere seconds to hook a prospect’s attention. 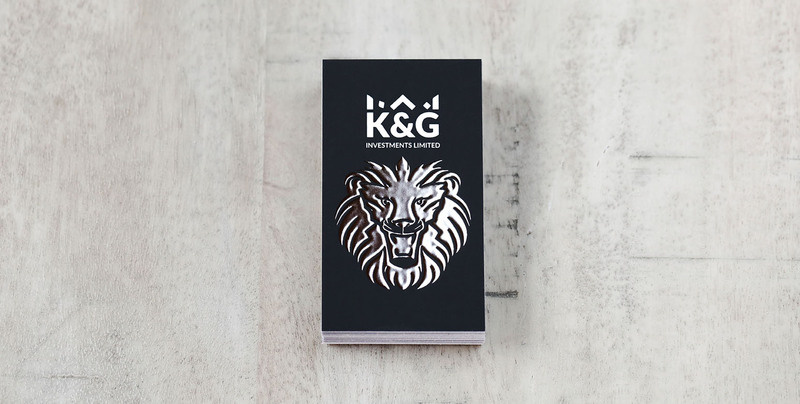 Having a unique raised foil business card can be the difference between getting a meeting with a potential client and having your card overlooked. 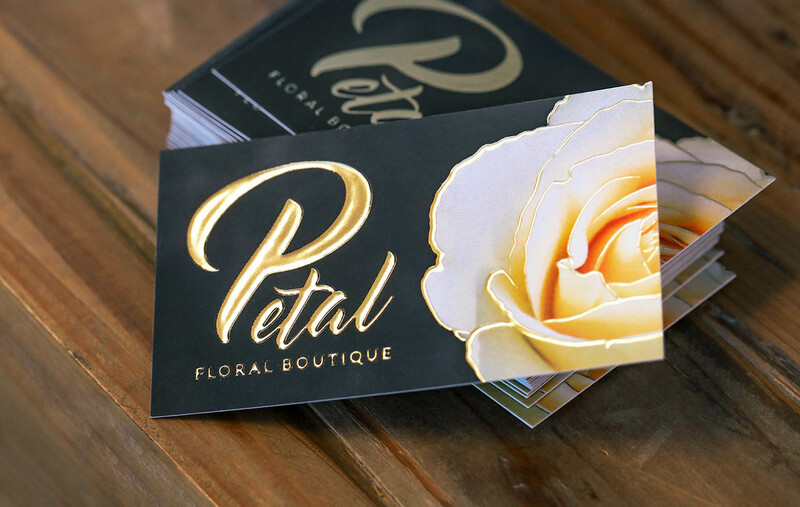 Don’t leave your marketing to chance; stand out by using unique finishes like raised foil. The mask file should be 100%K and white with the black areas demonstrating where the raised foil should be printed. Raised foil mask files are required to be submitted in vector format. We suggest creating your file in a vector graphics program like Adobe Illustrator and saving in PDF format. All fonts in the print and mask files must be converted to outlines. Raised foil works best on solid areas as opposed to delicate graphics or thin type. Small text may result in letter counters (area of a letter that is entirely or partially enclosed) being filled by the foil leaving your content illegible. The smallest font size we recommend is 10PT for regular fonts and 12PT for bolder fonts. The maximum coverage for raised foil is 50%. Our support article on raised foil provides further clarification on how to create mask files. If you aren’t comfortable setting up your mask file, our design department can create one for you. Is Raised Foil Right for Your Brand? Not sure if raised foil is right for you? Contact us today, and we’ll be happy to help you to choose the right type of printing for your business.